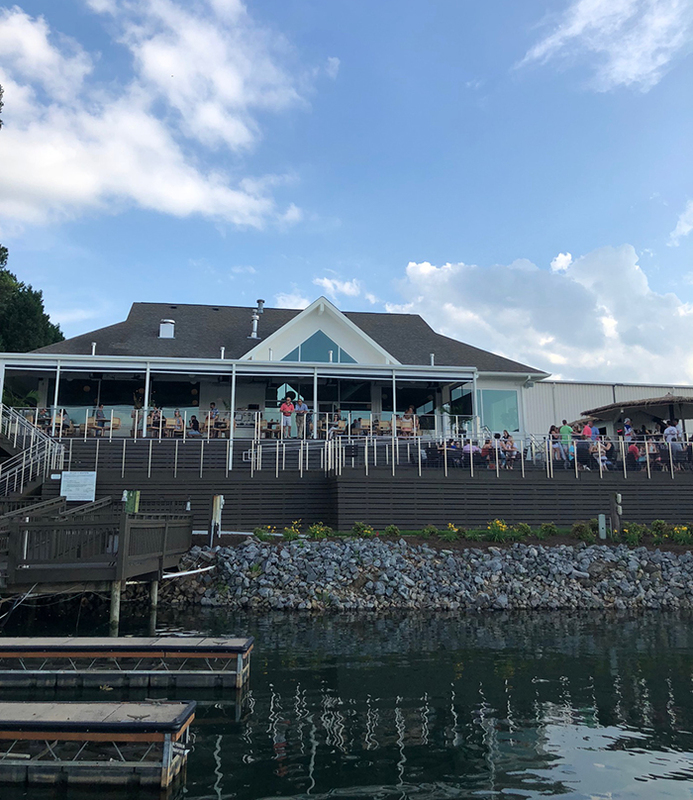 Hello, Sailor is the perfect venue for a group date — test out tiki cocktails, share crab legs, fight over a lobster roll and enjoy the sunset over Lake Norman. 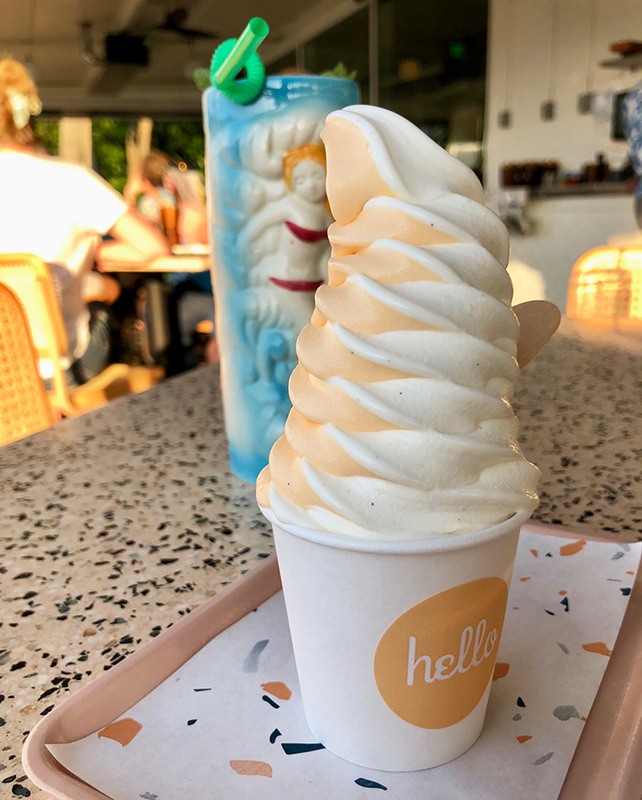 I’ve been to Hello, Sailor twice recently and I can’t wait to go back again. 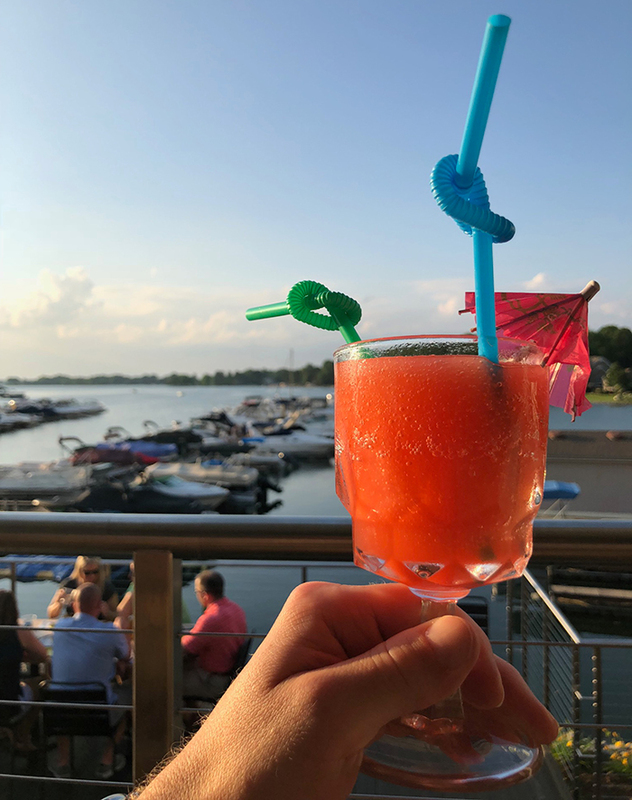 It’s a 25-minute drive from Uptown, which is a lot more brutal on a weekday with rush hour traffic so I recommend going on a Saturday or Sunday evening. Note: Every time I write something about Hello, Sailor I always have a handful of grumpy people complain about the restaurant. These people need to get a life. They’re wrong. My take: Even though Hello, Sailor has drawn national attention, it’s still UNDERRATED. View from the dock. Patio straight ahead and tiki bar to the right. I went on a Saturday evening at 6 p.m. It was crowded, but not packed. I honestly thought it would be more crowded. 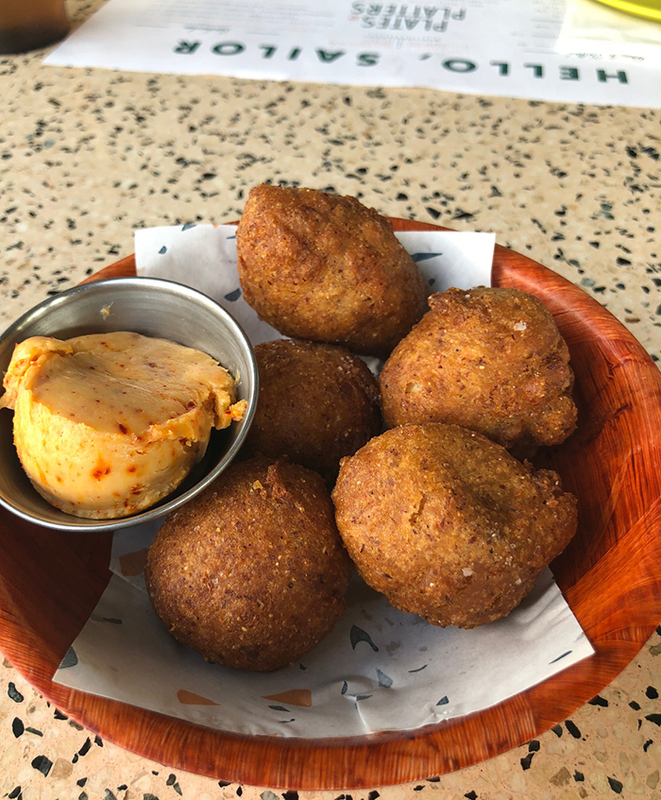 As a group date, order and share the hushpuppies, oysters, Florida blue crab claws, Carolina shrimp plate and lobster roll. If you’re a fancy foodie, go with the hamachi ($14.99), citrus crab Louie salad ($17.49) and the whole flounder ($32.99, feeds two). 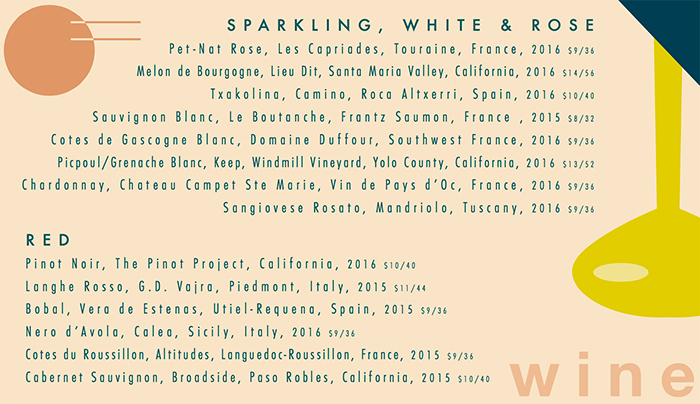 Otherwise, go with the following lineup and share with the table. Hushpuppies ($3.99) served with a yuzu kosha-honey butter. I have no clue what “yuzu kosha-honey” means, but these bad boys are delicious. 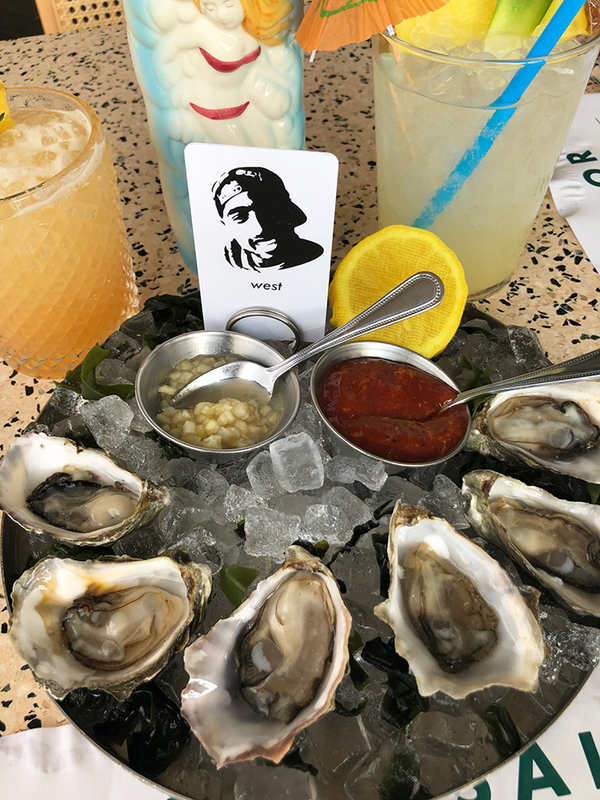 Oysters (market price) — you choose from East Coast or West Coast farms. 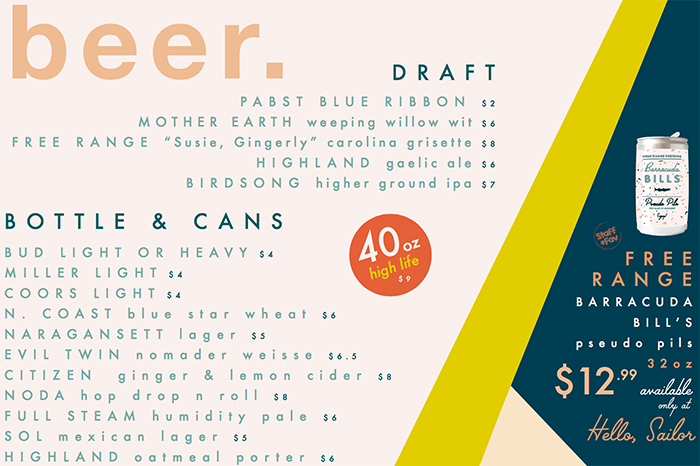 I recommend West Coast and you can order either 6 or 12. 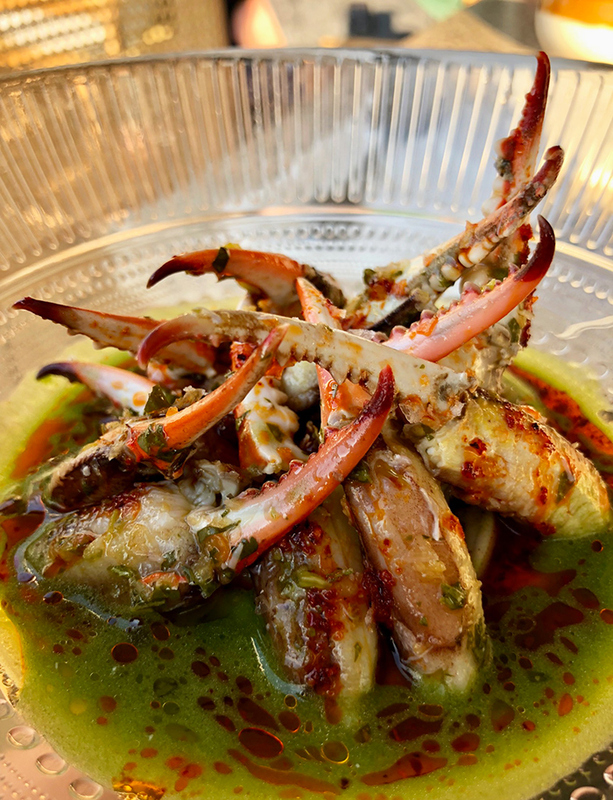 Florida Blue Crab Claws ($13.49) with a wasabi tobiko mayonnaise and green coriander. Since I have fragile internet hands, I almost didn’t order these — I thought I’d have to crack them myself. But you don’t. 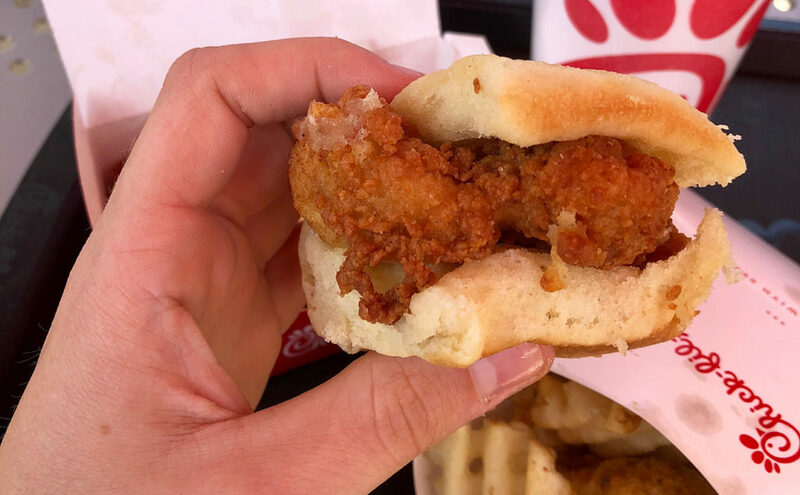 You dip it and eat it like a popsicle. Excellent shareable. Yes, the dip looks a little sketchy, but don’t be afraid. Go with a heavy dip. 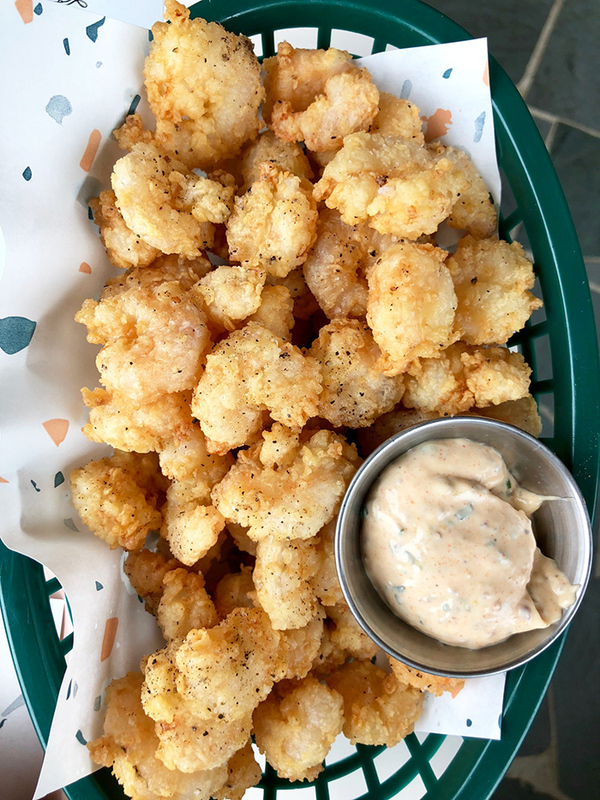 Carolina shrimp calabash ($15.99) with remoulade. It’s a huge basket of popcorn shrimp. Order for the table and share. Ask for some cocktail sauce too. 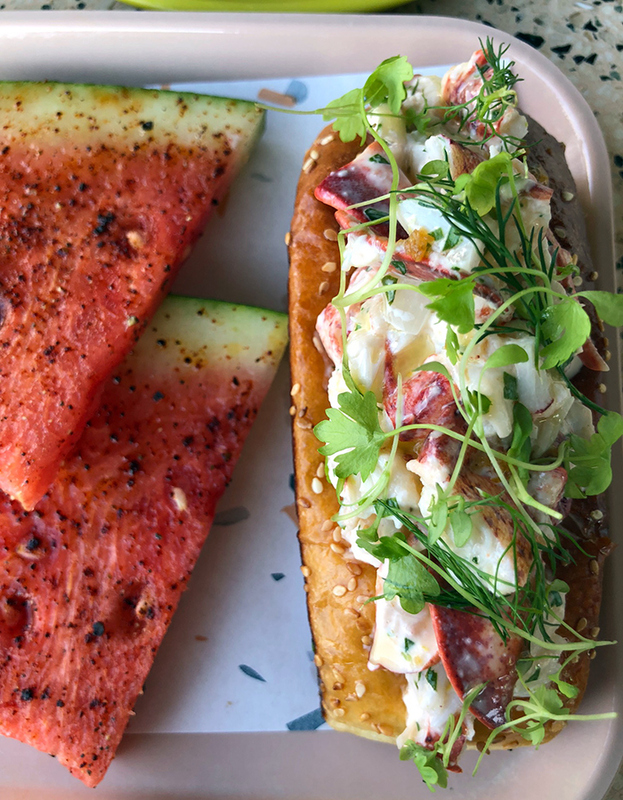 Lobster Roll ($29.99) — one whole lobster, meyer lemon on milk bread. Split it with a buddy. Yes, it’s the milk bread that you love from Kindred. You also get the choice of a side: salad, fries, avocado slaw or watermelon. Do the watermelon. 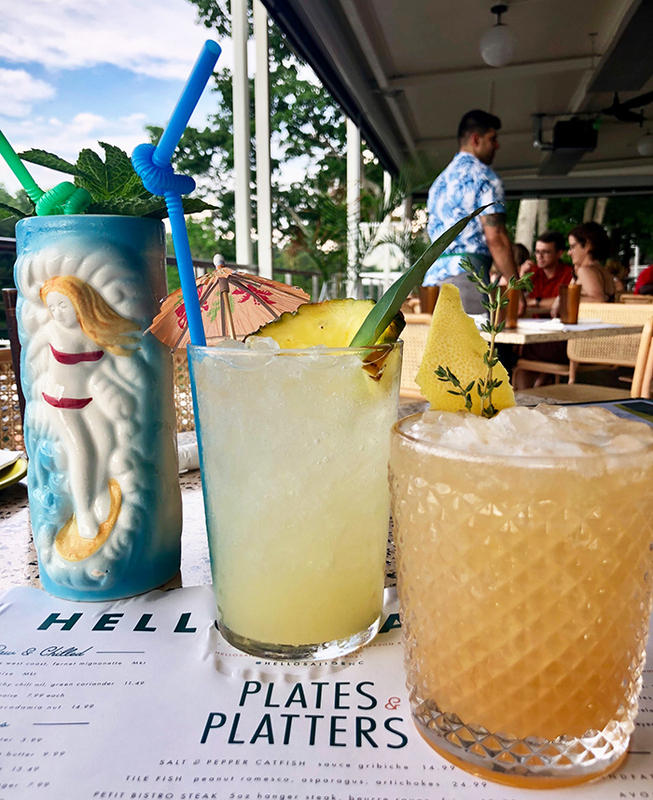 Skip the beer, order the cocktails at Hello, Sailor. 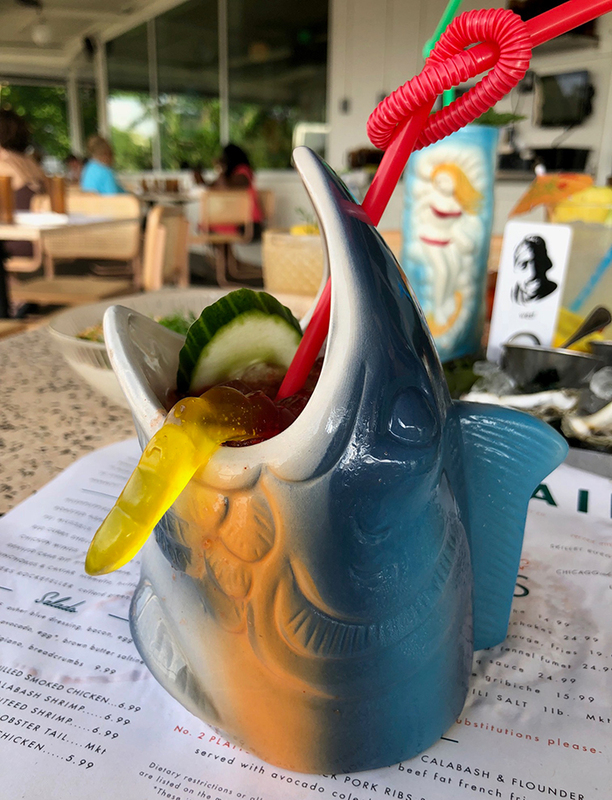 Yes, their “I got a Marlin, Darlin” cocktail comes in an amazing marlin head. I’m such a sucker for cool looking drinks. How can you not want to drink from a marlin head? 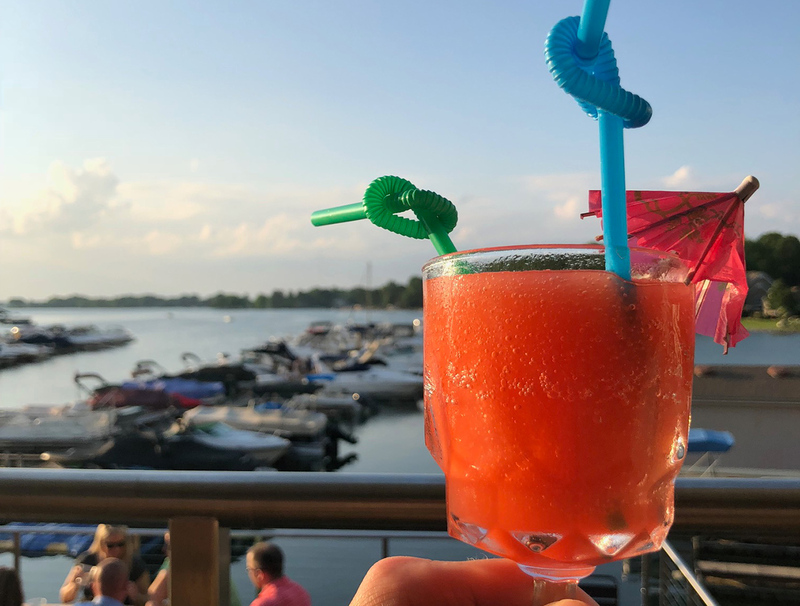 And if you don’t post a Cherry Lemon Sundrop Negroni Slushie ($8) with a lake sunset in the background, did you even go? I’m starting to become a thumb model. Adding it to my resume. 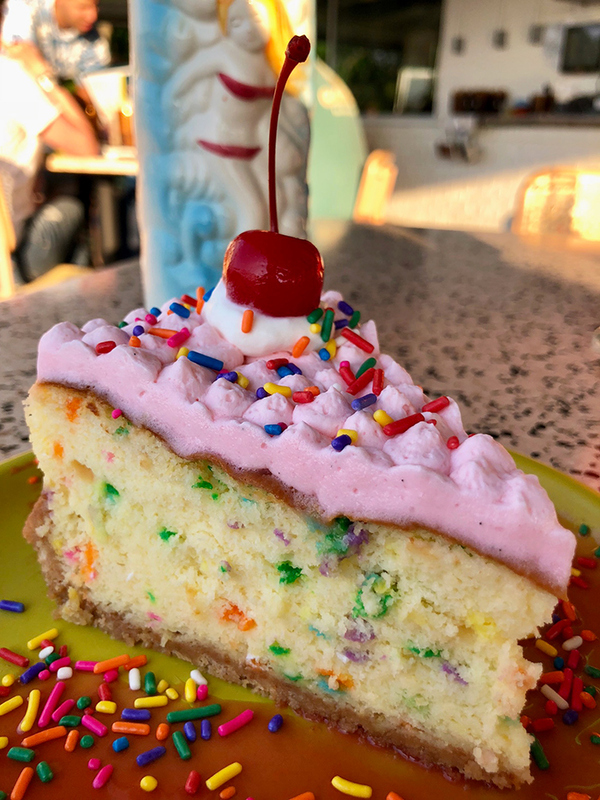 Wrap up the group date at Hello, Sailor with a shared piece of cake. But order the froyo for yourself.